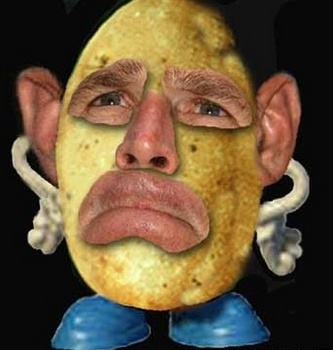 Conor McGregor, the former UFC featherweight and lightweight champion, has been suspended from all forms of fighting after potatoes were found growing in his lugoyles. McGregor, 30, the mixed martial artist, who is never far from controversy, was attending a routine check-up at his doctor when, on examining the Irishman's ears, the observant quack spotted what seemed to look like - and indeed was - a spud bud poking past his eardrum. On further investigation, the medic was able to ascertain that there was a veritable crop of potatoes in the Irishman's ears, and ruminated that, if only McGregor had been alive during the Potato Famine days of the 1840s, more than a million Irish lives might have been saved. An ear expert later said that McGregor's ear condition perhaps explains why he seems deaf to all warnings about his behavior outside the cage.